Helena has spent most of her working life in the sphere of music and the performing arts. 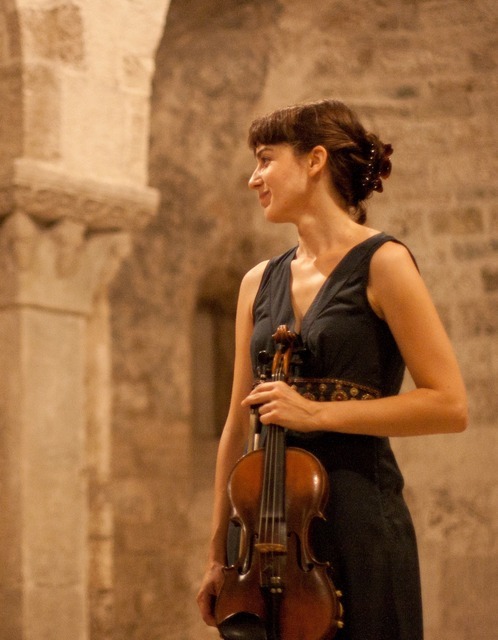 She completed her studies in violin at the ‘Conservatori de Musica del Liceu de Barcelona’ in 2003, then moving from her native Catalonia to London, to pursue her musical interests. She has trained privately as a singer and regularly performs with the vocal ensemble ‘Ars 5’. Helena has also been an active member of string ensembles including the 'Altissimo Ensemble’ and the ‘Quartet Albéniz’. She has played violin and viola for numerous recording sessions, her most recent collaboration being for the album ‘Voices of Redemption’, featuring various singer-songwriters. Helena regularly improvises music for actors and dancers and is musical director of the London based theatre company Zootrophic, performing in their show ‘Uncivilised’ in October 2015 at Chisenhale Dance Space in London. Helena lives in London where she pursues her passion to explore synthesising dance, music, and theatre through improvisation.